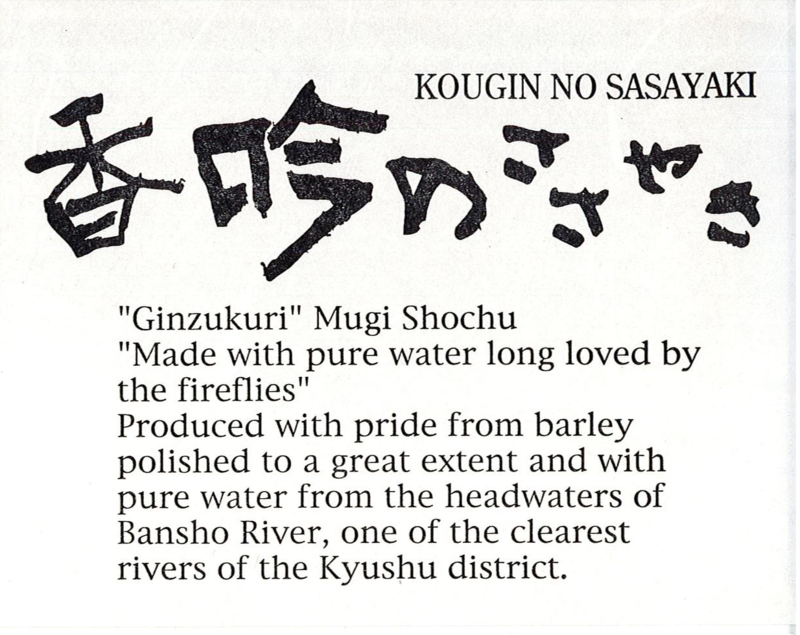 Kougin No Sasayaki is a Ginzukuri mugi shochu produced using Nishinohoshi barley milled to 50% and fermented at low temperature. Its delicate mellow flavor is clean and refreshing. Utilizing select seed koji and aromatic yeast, the shochu is highly complex and aromatic.